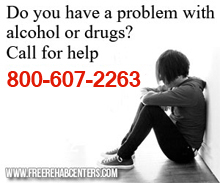 Lincoln, NE Free Treatment Centers, Affordable Rehab Centers. SUBSTANCE ABUSE counseling and treatment, relapse prevention, chemical education classes in English and Spanish, community treatment aide, adult and adolescent intensive outpatient program, Spanish outpatient program. Hours: Mon-Thu 8 am-7:30 pm, Fri 8 am-5 pm. Costs for this treatment center are on a sliding scale. Contact for details on prices for your individual case. FORMERLY REGION V MENTAL HEALTH, Alcoholism, and Drug Abuse Program. Provides administrative supervision and administers state and federal funding for the operation of mental health, alcohol and drug services within a 16-county area of southeast Nebraska.